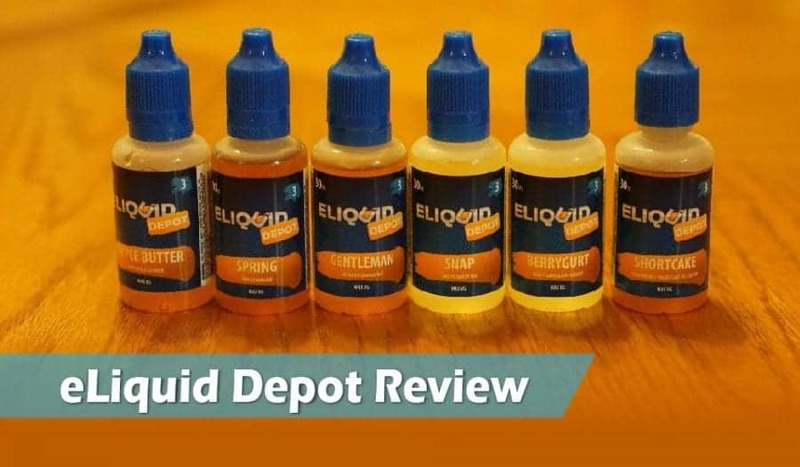 In this e-juice review, I will be reviewing select flavors from ELiquid Depot that I found to be the best in regards to accuracy, vapor production, taste, and throat hit. Firstly, I would like to thank them for sending these e-juices my way for this review. I will give you my overall thoughts about each, and tell you whether I recommend it to you or not! However, do keep in mind that taste is subjective, so what I may like you may not like. In addition, I will provide you with information about ELiquid Depot, the pricing of their e-liquids, and what they have to offer. I will then conclude this article with my overall thoughts about their e-liquid line. So let's get going and review that ELiquid Depot, shall we? ELiquid Depot has a ton of different flavors to choose from on their website. Some of the profiles they offer include dessert, candy, breakfast, creamy, menthol, yogurt and more! This gives you a wide variety to choose from, and fitting many different favorite flavor profiles for a wide range of vapers! All of ELiquid Depot juices have a VG/PG ratio of 80VG/20PG, so you know for sure you will be getting excellent vapor production and solid feel! They make e-liquids that are ideal for sub-ohm tanks and RDAs, so if these are the type of atomizers you use regularly, then they have one suited just for you! Many of the newer mouth to lung tanks also vape pretty well with higher VG e-liquids, so this can be fitting for these atomizers as well! All in all, ELiquid Depot offers a solid amount of e-juices on the website, and offer e-juices that will perform great in subohm tanks! So if you use subohm tanks often, then ELiquid Depot is a company for you! 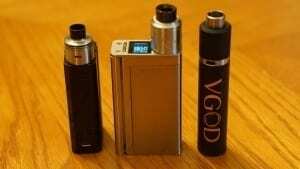 Before I begin the review let me quickly present you the mods and atomizers I used for this ELiquid Depot review. To be completely unbiased I used 3 different setups and here they are. This is a pretty well rounded flavor, and I do love strawberry flavored e-liquid. Many people favor strawberry flavors, because of how good they taste and how well they mix with other flavors. This is a good strawberry for sure. On the inhale, you get a nice cake flavor with a slight hint of strawberry. However, on the exhale is where this really shines. On the exhale, you get a nice mixture of a cake with a creamy strawberry finish. The ice cream flavor is what gives the strawberry flavor a creaminess, and is done quite well. On the exhale, no flavor is really dominant over one another, but you do get the strawberry cream flavor on the end of the exhale. It is a pleasant vape, and a well done strawberry vape in my opinion. The throat hit is very smooth on this e-juice, and the flavor is not too heavy either making it a great all day vape! Also, the strawberry is very natural tasting, which is certainly a good thing in my book! 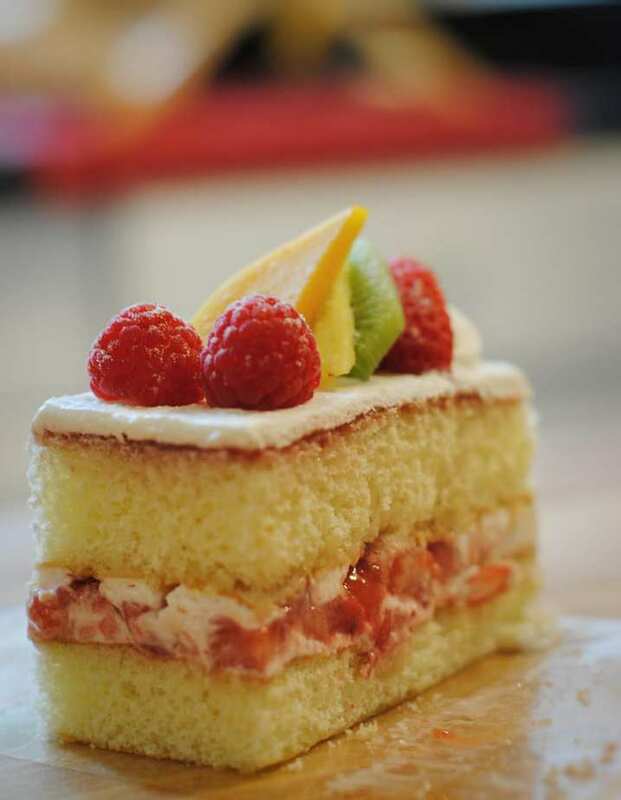 If you are a fan of strawberry or cake flavors, then Shortcake is something I definitely recommend trying! Shortcake is definitely my favorite from ELiquid Depot! This is a strawberry kiwi flavor that is really different in comparison to the other e-liquids that I've tried with a similar profile. On the inhale, you get a nice mixture of strawberry and kiwi. However, on the exhale is where this flavor differs and is what makes this unique. 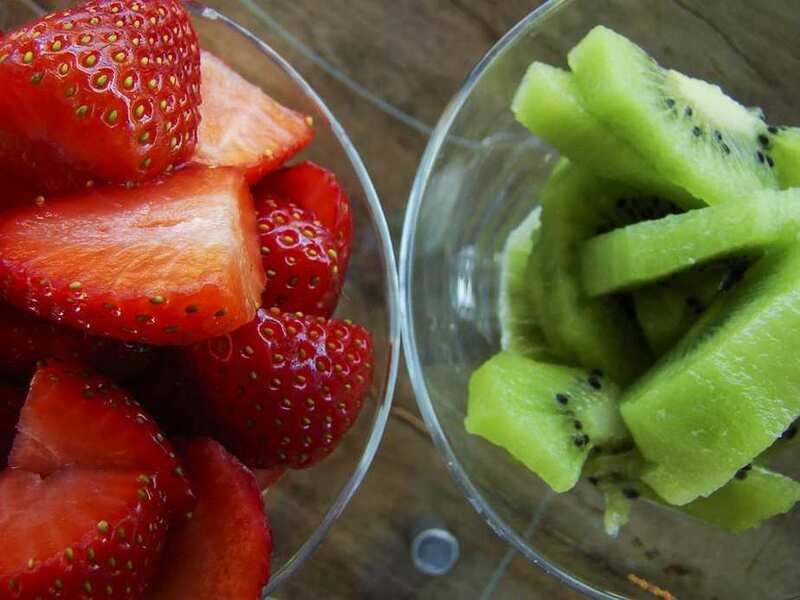 Honestly, I've had a fair share of strawberry and kiwi flavors, and they typically taste pretty tangy, especially when you add yogurt in the mix. On the exhale of Berrygurt, you get a nice creamy strawberry and kiwi flavor. I do think the yogurt they are using is more creamy than tangy, but the tangy taste of the kiwi balances everything out. There is a very slight tangy note on the exhale, but it is pleasant. The mixture of strawberry and kiwi is good, and the yogurt brings it together and makes everything have that creamy note. Honestly, the yogurt flavor tastes a bit more like a cream rather than of a yogurt, which is not necessarily a bad thing. This is certainly unique, and is really good overall. If you are a fan of strawberry and kiwi flavors, then this E-Liquid Depot juice definitely worth giving a try! This ELiquid Depot juice is certainly a real apple feel! Firstly, I do want to state that I typically do not like any apple flavors, as they are just not for me. However, Apple Butter is a pretty tasty apple flavor! On the inhale, you get a very nice fresh apple. This apple flavor is natural tasting, which is definitely a good thing! On the exhale, at first you get that fresh apple taste, but it is then followed by a creamy bakery note. The apple feel is definitely dominant in this e-liquid, and I do wish the bakery and creamy notes were a bit more forward. However, the apple flavor is done really well, and is just tasty in my opinion. The throat hit on this e-liquid is just as smooth as the others mentioned. Like said before, I am not a huge fan of apple flavors by any means, but this one is certainly good and I do have to give credit where it's due. Apple Butter is a nice refreshing apple flavor, and the creamy bakery notes just compliments it on the exhale. If you are looking for a crisp apple, or a fan of apple flavored e-juices, then this is one I certainly recommend trying! Just like apple, I typically dislike tobacco flavors as well. However, this tobacco flavor is done quite well, and the vanilla and caramel notes are just tasty. On the inhale, you get a very nice and sweet vanilla. In addition, there is a very slight caramel note that is present, but is something you have to look for on the inhale. On the exhale is where this e-juice really shines. At first, you get a nice vanilla flavor that is similar to that of the inhale, but is followed by a sweet caramel flavor. The caramel flavor is done really well in this and tastes very natural as well. On the very end of the exhale is where the tobacco flavor comes out. The mixture of these three is superb, and are very tasty blended together. This e-juice is definitely on the sweeter side, so if you don't like e-liquids that are sweet, then this may not be for you. I do think the sweetness is what makes this so tasty in my opinion, as tobacco flavors are generally more mellow in regards to sweetness. If you do enjoy sweeter tasting e-liquids, and a fan of vanilla and caramel flavors, then this is something you'd definitely enjoy! This is a really good sweet tea flavor from ELiquid Depot. The sweet tea is very authentic tasting, and the fruit flavors are done well really. The fruit flavor in this is more of a mixed fruit than a single fruit. On the inhale, you get a very nice tasting sweet tea flavor with a very slight note of fruits. On the exhale is where the fruit shines, and is followed by the sweet tea. Like said previously, the sweet tea is authentic tasting, which is a huge pro for this e-juice. Also, the fruit flavor is natural tasting, and does not taste artificial at all. This is once again, a huge pro to this e-juice. The flavor description is spot on to what I am tasting with this e-liquid. Honestly, this is a very natural tasting profile that is surrounded by notes of fruits. I really didn't think I would have liked this one, but I ended up liking it quite a lot. If you are looking for an authentic tasting sweet tea flavor, then Snap By ELiquid Depot is an e-juice I highly recommend trying! In conclusion, ELiquid Depot has some pretty great tasting e-juice at great prices! They typically offer sales where they discount their e-liquids by up to 40%, making their 120ml bottles only $11.99! So be sure to visit VapingCheap if you're looking to save even more on e-liquid selection! Most of their e-liquids are natural tasting, which is a huge pro for me! There are some flavor profiles that just taste better when they are more natural than artificial. Two examples of this are Shortcake and Apple Butter. However, this is certainly subjective, and you may prefer something different. The prices of their line are another huge pro, as it only costs $19.99 per 120ml bottle! Overall, ELiquid Depot offers some great quality e-juice at excellent prices. The nicotine they use in their e-juice is pretty good as well, as all of them were smooth and I did not experience any harshness nor burning or stinging. Not to mention, their e-liquids have a VG/PG ratio of 80VG/20PG, so you'll be getting excellent vapor production! In addition, the flavors that stood out to me the most were not too heavy on the flavor, making them great to vape all day! Personally, when an e-liquid is too heavy on flavoring, it can become overwhelming over time; therefore not making it a great all day vape. For the price and the quality of it, ELiquid Depot is definitely worth checking out! I hope this review of ELiquid Depot has helped you find a new all day vape! Feel free to leave a comment below, and let us know your favorites! We cover some other companies who offer e-liquids at similar prices! Eliquid Depot has some very low quality juice.in my opinion. I made my first purchase with them and got my order yesterday. They advertise as being presteeped but Loops was only made 7 days prior to being shipped. 7days sitting in a bottle is NOT what most consider steeped. That takes two to three weeks MINIMUM and requires shaking daily. Wasnt hardly any bubbles to.even indicate the juice.was merging together. I contacted.and reviewed them and remained respectful but not only did they respond with absolute immature ridicule they offered no apology or resolution. Some of the worst customer service I have ever dealt with in two years as a vaping enthusiast. Just read their reviews on Facebook, anyone who says ANYTHING remotely negative or complains is met with vauge insults by their company representatives. Criticism helps a company learn about.what they can do to improve their.producs.but.this.company will listen to any of.it. I highly DO NOT advise buying.them they are in my opinion rude and their juice is weak as a kitten. It’s the best juice I have ever found. Only tried Gentleman, Autumn and Throne so far but best juices I have ever tasted. Not sure when the above review was posted but they are the only company I will order from now. You’re wrong in my opinion. My favourite juice company. I don’t order from anywhere else now. First I was not happy that I ordered on a Sunday and they didn’t ship it until Tuesday and I even paid the extra 9.00 for 2 day shipping. They blamed it on fedex. Therrs something in this juice that I’m seriously allergic to. It makes my skin crawl with itchING and leaves hives on my skin. I do not recomend this cape juice brand to anyone! I have never had this problem with the keep it 100 brand at all. Very poor quality even though I will say it dies taste good. I got the Krispy doughnut flavor with 3 percent nicotine.